The Camelid family originated in North America around 50 million years ago, and one would have thought that camels and their relatives came from Asia or Africa! 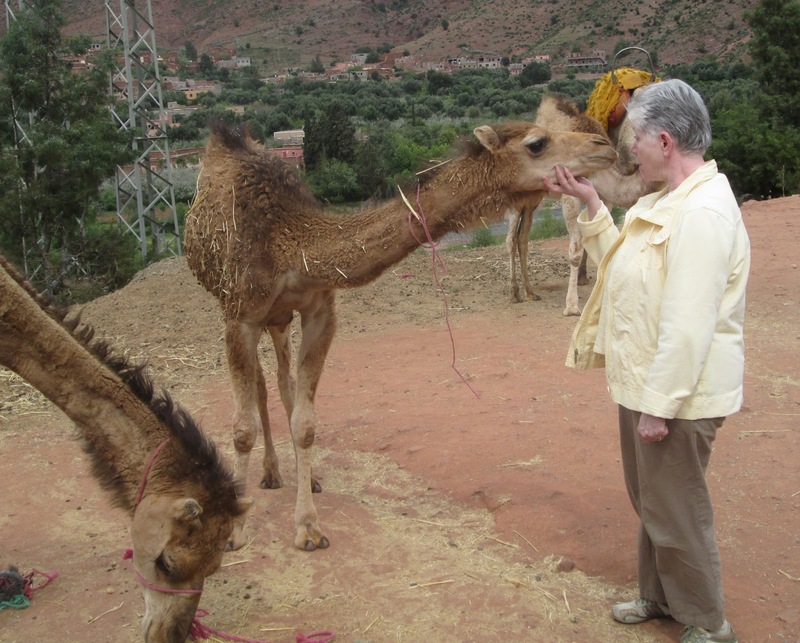 Over the years the camelid family branched into two main groups, known as tribes. One tribe, the Lamini, gave rise to New World camels, which migrated to South America. The original Lamini tribe became extinct in North America nearly 12,000 years ago and we see their South American descendants as alpacas, llamas, guanacos, and vicunas. The second main tribe, known as the Camelini (Old World camels) migrated to Asia across the Bering Land Bridge and became the Bactrian and Dromedary camels of Asia and Africa. Of interest to us textile folks are the camelid fibers, each unique. Today we will look at camels. The Bactrian ( 2 humped ) camel perhaps originated in Afghanistan which was called Bactria in ancient times. Its tan to dark brown hair, as long as 10 inches in length, is shed once a year. There are both domesticated and wild Bactrian camels, although the wild population is considered engangered. There are differences between domesticated and wild Bactrians, including some differences in their DNA. The Dromedary camels (single-humped) are adapted to hot climates and can survive for long periods without water. However, they produce less useable fiber than Bactrian, although Arvana dromedaries can produce up to 7 pounds of fluff. The wild dromedaries are extinct so that all dromedaries are domesticated. In Australia there are large herds that have gone feral, their domesticated parents were brought to Australia in the late 1800’s to access desert areas. Camels are double-coated. The coarse hair is very strong and suitably used for ropes, halters etc. The undercoats are down that can be gathered by hand in the spring or by combing. The Wool Products Labeling Act classifies camel hair as wool. It is usually combined with other wool fibers. Fabric called camel hair is often a twill weave with a deep nap ( or may have a flat finish) and is very soft with a luxurious draping quality.